In formal terms, La Jeunesse is an album of fully written music for a large ensemble of jazz musicians; in less formal terms, it’s my biggest project so far that took me altogether almost four years of work. The idea was to get together my London friends-musicians, with whom I shared the student years and record this music, which is based on stories that happened in my life over the past eight years or so. This record would never have been made without the very generous support of my parents and my sister, as well as of Barak Schmool, who enabled us to use a recording space at City University for free. Thanks to such a commodity we could play all the music live, without any headphones or separation, just as would happen in a concert situation. This “live” sound is then very much kept on the record itself. “La Jeunesse” is quite a “concentrated” recording, with plenty of different genres and styles intergrated and juxtaposed to each other. Whilst to some this aspect may seem excessive and overloading, I assure you that it’s all based on what I lived and experienced – and yes, it was quite an eventfull time with lots of seemingly unrelated stories happening at the same time and taking part in the overall process. My enormous gratitude goes to all the musicians and friends, who gave their best for very little financial reward and helped me to make this happen – thank you all so much, guys! I am really as proud as one can be of what we managed to achieve in this recording. All compositions by Jiri Slavik (SACEM). 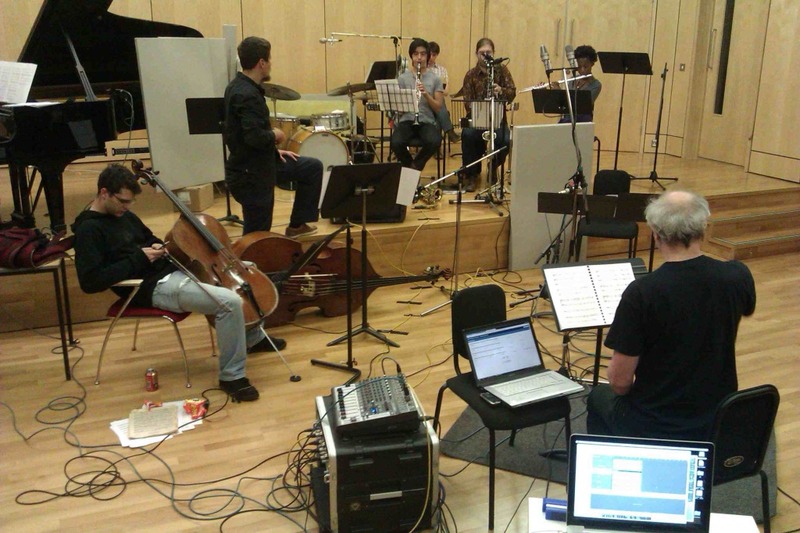 Recorded at the City University, London on five days during September 2011 – April 2012. Engineered by Tim Burns and Alex Bonney. Edited by Jiri Slavik. Mixed by Jiri Slavik and Alex Bonney. Mastered by Djengo Hartlap. Graphics and Photography by Janos Chiala, artwork by Jim Glover. Produced by Jiri Slavik.